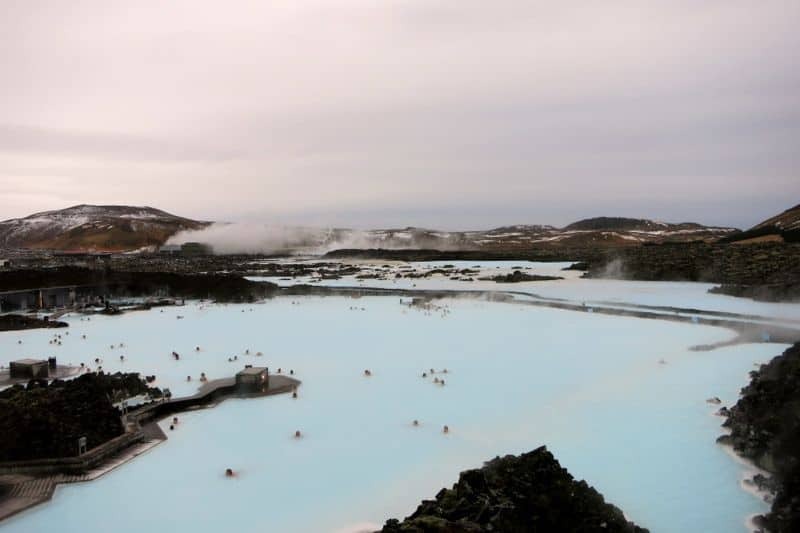 The Blue Lagoon – Love it or hate it? I didn’t think I was going to like the Blue Lagoon. A man-made attraction fed by water from the nearby geothermal power plant doesn’t actually sound that appealing does it? But I loved the experience which left me feeling incredibly relaxed and my skin super-soft. My hair was a different story. I’d suggest you avoid getting it wet unless you want to spend three days with it sticking out in all directions – think Animal from The Muppets. It didn’t calm down until a couple of washes and hot oil treatments later. The Blue Lagoon – is it suitable for families? Although the Blue Lagoon sits next to the power plant I couldn’t see it through the steaming mists and black, lichen covered, rock of the surrounding lava field. Lava flows heat the seawater which is pumped from 2000 metres beneath the earth’s surface. First it’s used to generate heat and electricity at the power plant before being pushed through to the lagoon. The water is renewed every 40 hours. The water varies in temperature with some areas almost too hot to bear and other cooler spots but it’s mainly a comfortable heat. The water temperature is generally between 37°C and 40°C (98-104°F). Included in our ‘basic’ entrance fee was a towel, a drink from the in-water bar and a silica mud mask which we got from the swim-up bar in the main pool. I chose a strawberry sparkling wine to go with my algae face mask. The mask comes as a frozen tablet which you dip in the water and as it melts you spread on your skin. I couldn’t leave it on too long as the icy breeze whipping around made it so cold I got face freeze – it felt good afterwards though. There are huge vats of gloopy silica mud in the lagoon and you can take big handfuls to smear on your skin. When you’re in the lagoon the swirling steam which envelops you gives everything an ethereal, dreamlike quality. Although there are people nearby they’re barely visible in the mists and their laughter and voices are strangely muted. Hewn out of the lava is a steam bath, a massaging waterfall and a sauna. The strangely translucent turquoise water surrounds everything. Designed in stark modern lines the buildings and decks compliment the natural textures and colours of the lava field to create a surreal ambience. 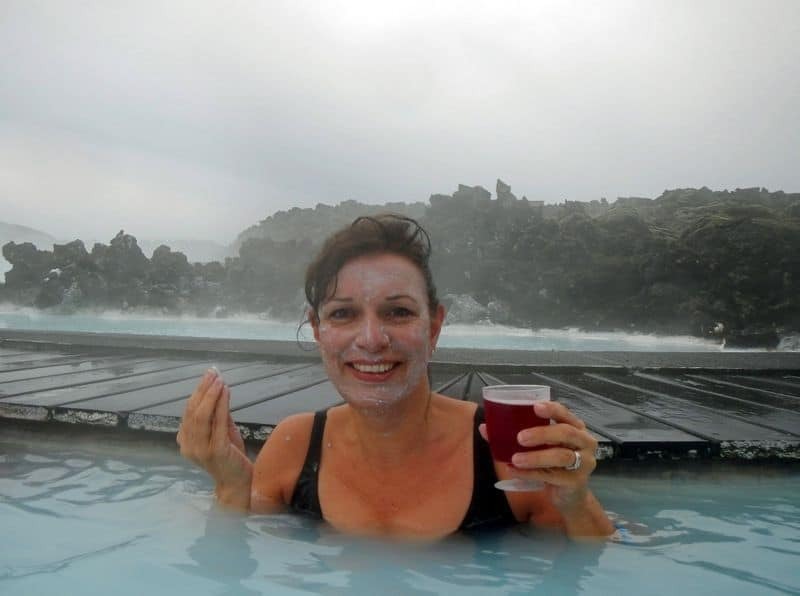 I’d definitely recommend you fit a visit to the Blue Lagoon into your Iceland tour and let the mineral waters work their geothermal magic. Bláa lónið is approximately 13 km from Keflavík Airport and 39 km from Reykjavík. That’s approximately a 20 minute drive from the airport and a 40 minute drive from Reykjavík. 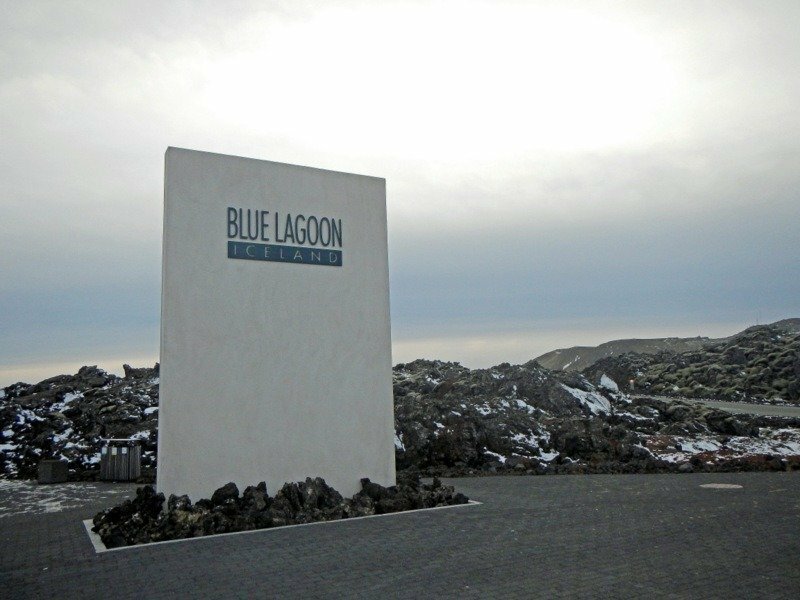 Scheduled bus transfers to the Blue Lagoon from Reykjavik and the airport are frequent and throughout the year. There are luggage storing facilities (for a fee) so a good time to visit would be en-route to or from the airport. We went on our way back to the airport – so I had to sit through the whole journey home with muppet hair…! Another way to visit, and in my opinion the best, is by a private Blue Lagoon airport transfer. 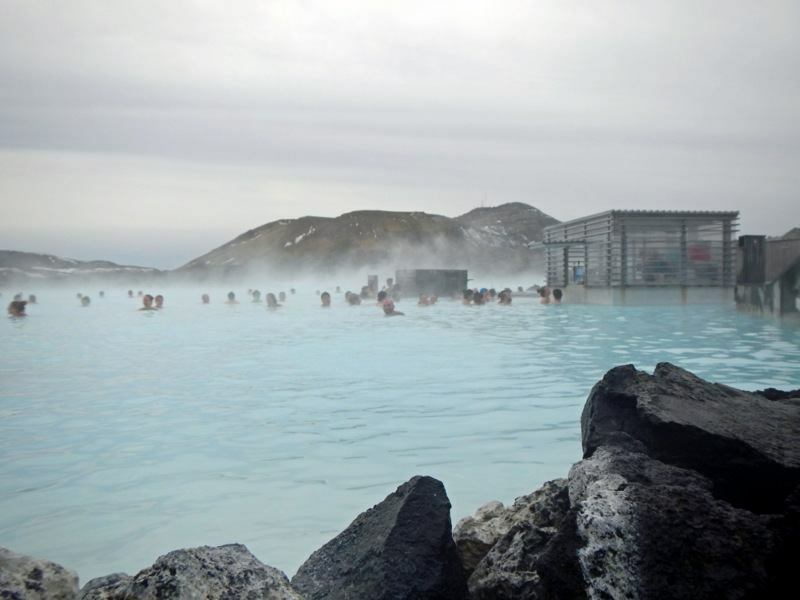 I’ts a great way to optimise your time and enjoy a 2 hour stop at the Blue Lagoon on your way to/from the airport. Check availability and rates. You can spend the whole day at the Blue Lagoon for your entrance fee. I was there for about 3 hours and had lunch in the Lava Restaurant which was excellent. If you’re not eating then 2 hours would be plenty of time. Go through to the restaurant and up the stairs to the right and you’ll find a large outside balcony with fantastic panoramas over the lagoon. Great for photos. Before entering the Blue Lagoon you must take a shower (naked) and wash thoroughly. If you’re shy don’t worry because there are separate male and female changing areas. Some individual cubicles are tucked away to one side although they don’t have doors. I’m serious about the hair. The high levels of silica in the water will turn it into straw for days. I’d recommend applying conditioner and tying your hair back. Complimentary conditioner is available in the shower rooms. The Blue Lagoon is a bit of a tourist trap and will make a hole in your budget but I really enjoyed it. If you’ve got time you can spend the whole day there to get your money’s worth. 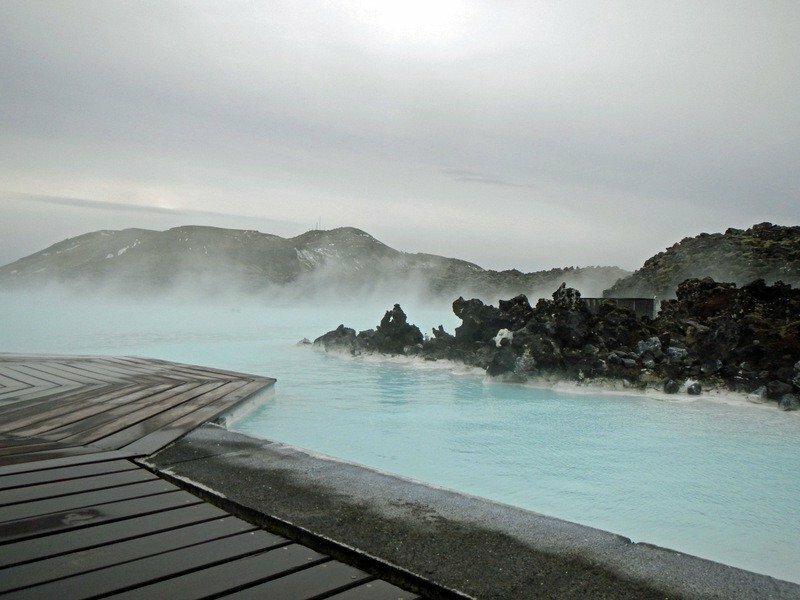 There are other geothermal springs in Iceland which are much cheaper so do your research and make your choice. If you’re driving yourself, getting to the Blue Lagoon is easy. 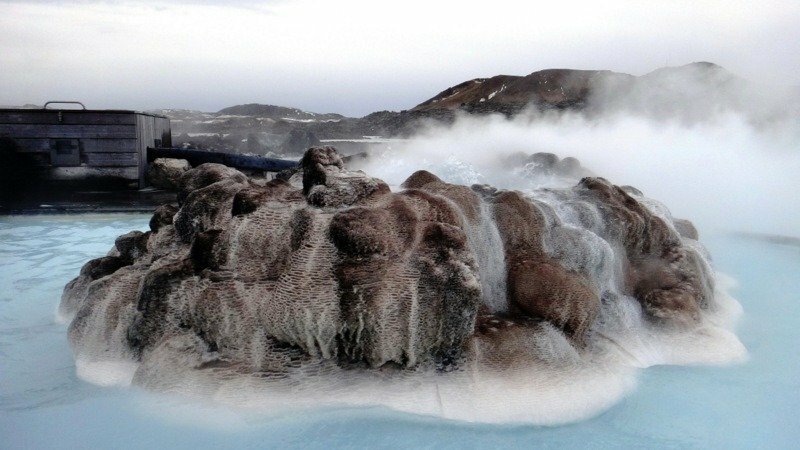 From the main highway that connects Keflavík and Reykjavík, turn at the sign marked “Blue Lagoon” and drive approximately 10 km/6,5 miles. There’s free parking available right outside. There are various packages you can buy for the Blue Lagoon at different prices. You’ll pay a lot more just for the use of a robe and you don’t actually need to go into the cold as there’s a route from inside straight into the water. Wish I’d known that before my ‘Viking dash’. Get your inclusive drink by scanning your wrist-band at the bar. If you have extra you’ll pay when you leave. The wrist-band also gives access to your locker. 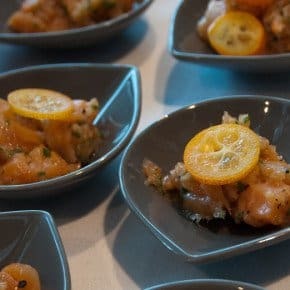 Some posts on this site contain affiliate links. If you buy an item after clicking on one of these links I receive a small (tiny!) commission (at no extra cost to you). If you do choose to buy anything through them it’s very much appreciated, thank you. Hi ! Really convinced now . Thanks for sharing all important information . Do you think it is possible to take any pictures from the board walks or dry areas ? We do not have a waterproof camera . How do you take pictures without getting the camera wet, damaged or stolen? I’m visiting over Christmas and would love to record the experience. Thanks for the info regarding not wetting hair! The Blue Lagoon was the highlight of my recent trip to Iceland, well worth the extortionate prices! Kat liked that strawberry fizz so much we bought loads at duty-free on the way home! 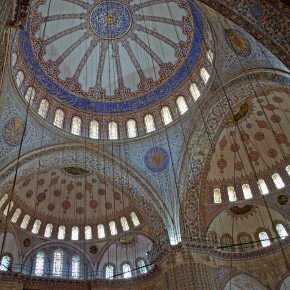 I was dubious about going there but loved it too – quite a surreal experience! It was a fun day and I’d definitely do it again! Look forward to seeing the dodgy hair shots! Definitely don’t get your hair wet – seriously it’ll be like straw for days. Not a good look! 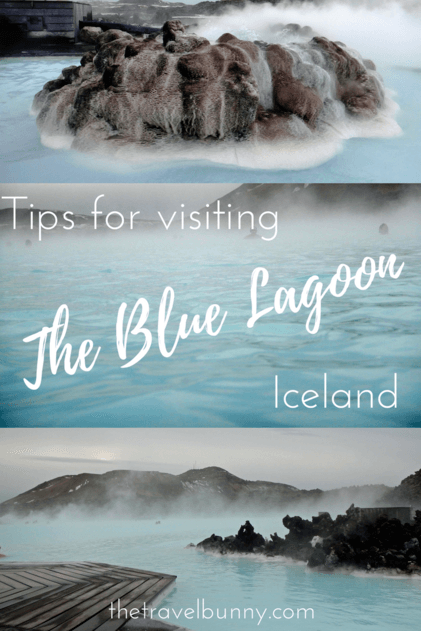 You can’t really visit Iceland without a dip in the Blue Lagoon – a memorable experience. Italy’s good too but I hope you get to visit Iceland soon because it’s so different from anywhere else! Haha, ah the hair. I feel your pain. I shared some tips on my blog, one of which included wearing a clear shower cap underneath a woolly hat! It protects your hair from going wild and the hat also keeps your ears hidden from the icy wind. We got a few glances and laughs before we got in, but five minutes later everyone was saying it was such a good idea! It is an unusual, but lovely place to visit (even if it can get a bit pricey). 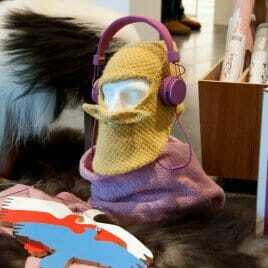 Great tip – I’ve never worn a woolly hat and a swimming cossie at the same time! Wow, gorgeous photos, I love how the blus come out. 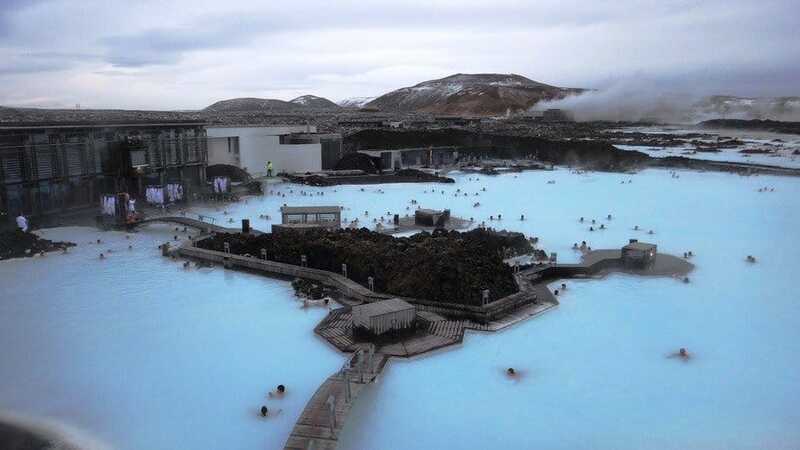 I went to the Blue Lagoon years and years ago on a school trip and don’t think I fully appreciated it, and never got a photo either ~ I’d love to go back now! Cool school trip – I went to Dieppe in France! Just added you on Twitter so I can read more! Hopefully see you there sometime! I would love, love, love to go there, it looks amazing ! 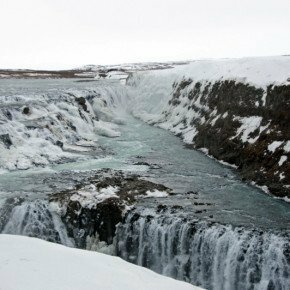 Wow, I’m envious and would love to visit Iceland and this place some day…loved the visit meanwhile! Thanks Noel – if you get the chance ..do visit, it’s a wonderfully photographic country. So true about the hair! Great post with helpful tips. Thanks Tanya – I paid the price for getting my hair wet! That does sound good. Having just returned from a day walking around La Laguna, a lovely, historic Renaissance city on Tenerife, I could do with that right now to sooth my aching back, legs and feet. I’ll make do with a glass of honey rum but a dip in a thermal spa would really hit the spot! 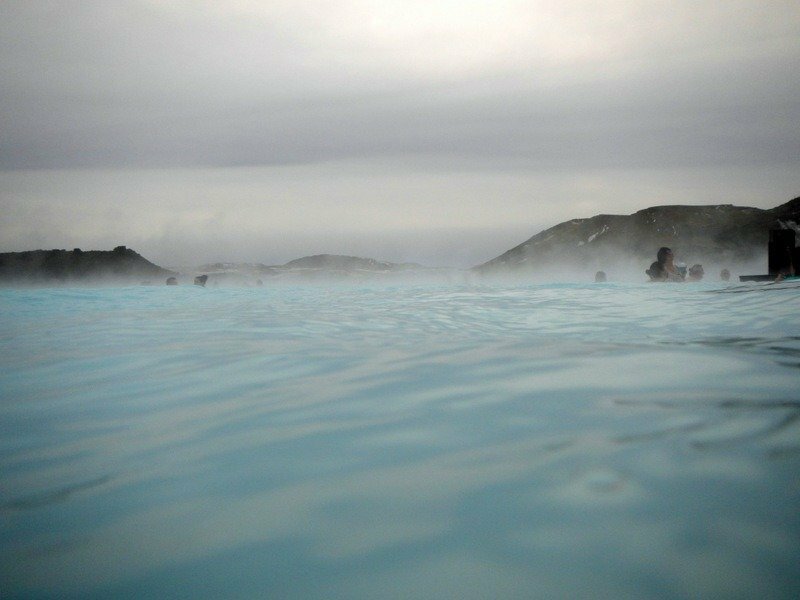 I really enjoyed the Blue Lagoon – yes it’s a bit touristy and surrounded by some not all that scenic power plant buildings, but it’s still so nice soaking in that bright blue water while steam swirls around you. Sure this is where my love of hot springs started off – have been to some fab ones in New Zealand and Italy since. I felt totally relaxed afterwards despite the wayward hair!